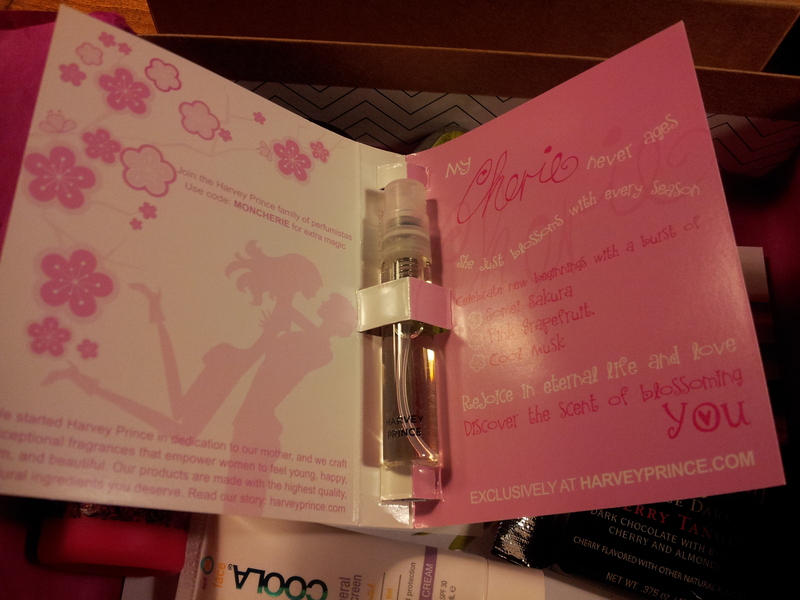 And I loved this scent. It is so perfect for spring and summer. It smells like cherries and sweet and lovely. LOVE. Downside – this did NOT last on me AT ALL. I couldn’t smell it within an hour. Such a bummer. I am hoping to find something similar with better staying power. Reawaken the young, romantic you. The blooming of the Cherry Blossom in Japan signifies the beginning of spring: new beginnings, a new season, and a new day. 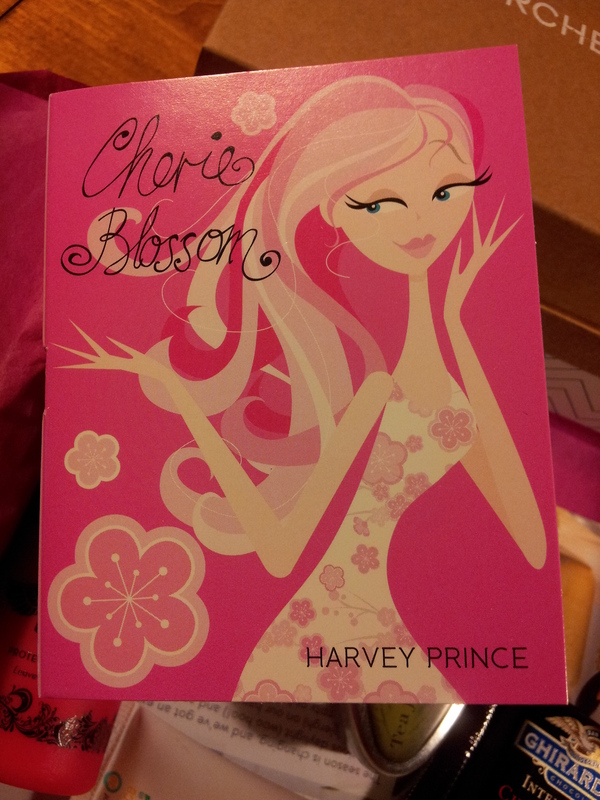 It’s time to find your own new beginning with Cherie Blossom. A handsome French man whispers “ma chérie” to his beloved. Her lips are a delicate red, and she smells of sweet cherries. She knows the power of her beauty. She is flawless. She is ageless. Notes of pink grapefruit dance down her neck–the scent of eternal youth. She is his dream. Cherie Blossom is the epitome of both rebirth in Japan and the power of a classic French seductress. Sweet, soft hints of Somet Sakura mingle with pink grapefruit and vanilla. A cool musk adds a touch of sophistication. Together, these fragrant notes play a song no man can resist. The woman who dares to wear Cherie Blossom feels timeless, and in truth, we look the way we feel. ← LUSH Golden Egg hunt!!! Go get you some!